Dr Steve Etches MBE is one of the worlds experts on specimens and collecting from the Kimmeridge Clay. His preparation and conservation skills when it comes to cleaning fossils are second-to-none. 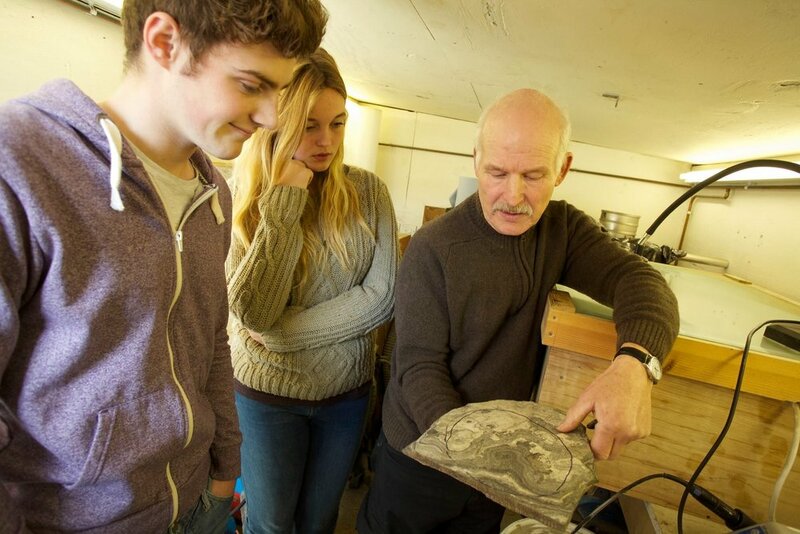 Not only is he sought out by academics and others in the field of earth sciences for his knowledge on the Kimmeridge Clay strata and their flora and fauna, he is also a wonderful story teller - his passion for collecting, his vision for creating a museum and how he came to discover some of the most scientifically important fossils of the Jurassic age, mean he is often in demand for talks, as an after dinner speaker and as an advisor. Steve is also available for tours of the museum collection. Hear his ‘story’ first hand - how he began collecting, the history behind the stunning fossils, what important evidence he has unlocked and the secrets revealed with the opportunity to ask him questions on the collection. Steve has already hosted tours for groups from the U3A, the Womens Institute, PESGB, Archaeological and Geological societies as well as for families and individuals who have wanted to create a bespoke visit as a gift to a loved one. If you are interested and would like to find out more please contact us here.